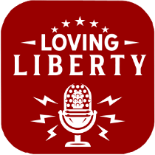 FEE president Lawrence Reed interviews a variety of influential guests spreading liberty around the country. December 25 – Guest: George Harbison on FundFreedom.com, a new organization that encourages college/university alumni to divert their contributions if their alma mater fails to provide diverse viewpoints on campus. January 8 – Guest: Kirsten Tynan on the Fully Informed Jury Association’s efforts to educate the public about their rights as jurors and on jury nullification. January 15 – Guest: Jim Agresti of Just Facts on that group’s wide array of research and resources on the national debt, gun control, government spending, taxes, and other pressing national issues. January 22 – Guest: Isaac Morehouse of Praxis on his organization’s boot camp and start-up apprenticeship program, which provide a superb and inexpensive alternative to costly college and university degrees. January 29 – Guest: Joe Lehman of Michigan’s Mackinac Center for Public Policy on how that state-focused, free-market think tank has changed that state’s intellectual and policy climate.